The theme of our third juried show was Peace. 1. freedom from disturbance; quiet and tranquility. synonyms: tranquility, calm, restfulness, peace and quiet, peacefulness, quiet, quietness. 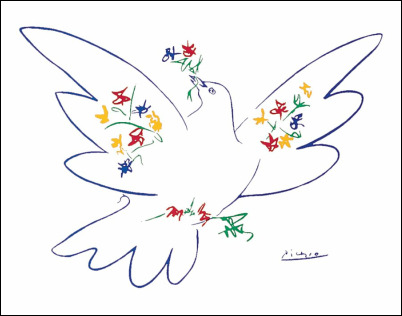 2. freedom from or the cessation of war or violence. synonyms: law and order, lawfulness, order, peacefulness, peaceableness, harmony, nonviolence, concord. 1. used as a greeting. 2. used as an order to remain silent. Saturday, April 23, from 5 to 8 p.m.
Additional details and rules of participation are available on our registration form. ​We will have cash prizes of $75 for first place, $50 for second place, and $35 for third place, as well as a $25 people’s choice award. You can register for the show online, or you can download the registration form, print it out, fill it in, and bring it with you when you drop off your artwork. You can pay your entry fee online, or by cash, check, or credit card at the shop. Please note that juried show fees are not refundable. Dates and details will be posted soon for future shows. You can read about our previous juried shows here.